EVO Universe gets 2 5-Star Reviews from Readers' Favorite! 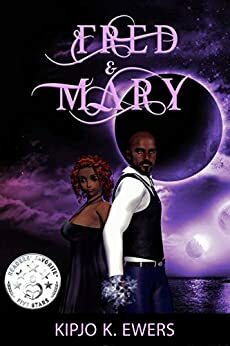 This month the EVO Universe picked up two five Star reviews for their current novels Genesis (The First Series Book 3) and Fred and Mary. Genesis by Kipjo Ewers is the third entry in The First Series and the first I am reading from this author. It is an absorbing and surprising narrative, enriched by strong elements of science fiction and political intrigue, and driven by a phenomenal conflict that culminates in the ultimate fight between good and evil. Sophia is a woman with unusual skills, and with the changes that have happened after the uprising, she is poised to champion a new era of freedom. But a cryptic message sent to the UN makes her a subject of controversy — while some think she is a threat, others see her as one to bring hope. Meanwhile, a deadly attack against humanity is in the making and an ancient evil returns, growing in strength by the hour and determined to dominate the world. Can humanity count on Sophia? 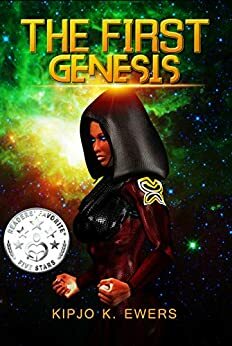 Genesis is a sumptuous story that is rife with originality, has a cast of compelling characters, and features a conflict of staggering proportions. This entry is characterized by a stimulating system of politics, humor and plot twists for superb entertainment. While this narrative contains so much material to fill up two books in a series, it manages to move the conflict deeper, allowing the central character to be fleshed out, and keeping the reader focused throughout the story. Kipjo Ewers’ confident prose mixed with the exciting dialogues make this a hard-to-put-down read. It is dense, it is intriguingly complicated and intelligently written. The protagonist — though not your ordinary heroine — feels real and convincing. There is great potential for entertainment in this entry and I am looking forward to reading the other books in the series. In Fred & Mary by Kipjo Ewers, love, loss, and grief are transformed into an enticing paranormal romance that is as moving as it is emotionally captivating. His wife was killed in front of him and since then, he has been plunged into a kind of pain and restlessness that nothing seems to assuage. Mary had been the closest thing to Fred, and now that she’s gone, the void left in his heart is unbearable. Which is why he orders a life-size, customized doll to keep him company at night. This seems to take away some of his grief, except he notices that strange things are actually happening whenever he wakes up. While Fred questions his sanity, he can’t help wondering if his wife has come back. It’s interesting to find out. The narrative is gripping and grimly realistic, even though it is riddled with elements of the paranormal. Fred is a compelling character, but one eaten up by grief, longing to reconnect with a reality that has completely left him. From the beginning of the narrative, we encounter someone who is unnecessarily agitated, someone who used to take control, but now is uncertain. The plot is well done, but it is the exploration of the psyche of the protagonist that gives depth and strength to the narrative. Fred & Mary is a story that eloquently depicts how loss and grief can drive a man to the edge of insanity. But, curiously, Kipjo Ewers succeeds in making it real, using suspense and a strong storytelling style to hold the attention of the reader throughout the narrative. It’s an engaging read. This is the third Readers' Favorite Five Star Review for "The First" series, and Kipjo K. Ewers fifth Readers' Favorite Five Star Review. To learn more visit the EVO Universe. Tuesday, 23 October 2018 EVO Universe News: October Recap! NYC ComicCon, Awards, and Audiobook Releases!